After the much anticipated Emmy night, usually I am disappointed about some of the choices (disappointment usually hits me harder with the nominations), but I am rarely shocked. This year, I was baffled and confused most of the telecast. While I am happy and I agree with some of the winners (Julianne More e.g. ), I was utterly upset by others. Here are my main thoughts right now. Homeland was the big winner in the Drama category taking the three major awards. I was glad to see this show get recognition since it is one of the best things on TV right now. I thought that maybe due to the subject matter it was going to be ignored. Claire Danes deserved the win hands down. Not so sure about Damian Lewis, but Bryan Cranston has won one too many times already, so I guess I am OK with it. 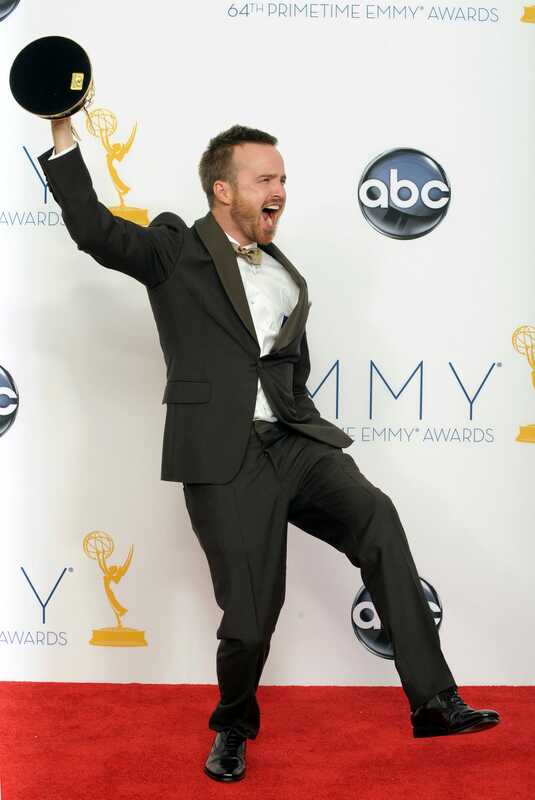 However… I was kind of hoping Breaking Bad was finally going to take the price this year. Not to say anything bad about Homeland, but Breaking Bad is almost over and Homeland is just starting, with plenty of years to win. I would have also been OK with Game of Thrones wining, but I don’t think that is ever going to happen. Yes, Modern Family is a good show. But it is getting a little tiring that they not only take all the nods but also the trophies, and much like Mad Men, maybe it is time for a new queen of the ball. Having said that… Steven Levitan has the best intro videos! So keep nominating him forever just because of that. Amy Pohler is the funniest, deal with it! I have a confession to make: I haven’t watched more than five or six Parks & Recreation episodes. Shame, I know. But even I know that Amy Pohler is the funniest lady on TV and for some reason she never wins! If nothing else, she is responsible for the funny bits at the comedy category every year. I love Julia Louis-Dreyfus, love Seinfeld, etc etc…. but if they wanted to give the Emmy to a veteran winner I would have gone with Tina Fey instead. Sometimes I feel they give the statues based on previous performances rather than the current ones. Maggie Smith is awesome; the dowager countess is one of the coolest characters, with the best lines in the history of television. I know a lot of people thought her win was undeserved, I wouldn’t go that far. I am obsessed with Downton Abbey after all. But I wouldn’t have minded Christina Hendricks winning. And wasn’t it so shocking how Mad Men and Boardwalk Empire were almost completely ignored? And the best actor in a miniseries or movie is… Kevin Costner… what? Even he was wondering what the hell were the voters thinking. Benedict Cumberbatch was entitled to that award! He is responsible for the best Sherlock Holmes performance in history (and yes, that includes Robert Downey Jr.), but no… let’s go with the traditional choice instead… Seriously? Emmy voters, if you don’t want to watch reality shows I understand, but don’t pick random winners please! The Amazing race wins again. Predictable, predictable, predictable… Are they aware that there are other shows? And do they ever watch them? I can live with the Amazing Race wining for the millionth time over SYTYCD… but Tom Bergeron is the best host? What the hell! He is awful! I don’t even understand why he was nominated. I really wonder what their criteria for picking best host is. I feel that there was a group of amazing shows that came around the same time (Breaking Bad, Mad Men, Dexter), but they are starting to show some signs of aging and/or are about to end their runs. Hopefully Homeland is the first great show of a new batch and this season brings many more new exciting shows… and Emmy voters start to actually watch TV and vote when they are sober.